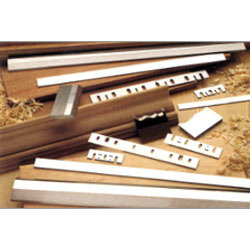 Including Jointers, Chippers, Wood Planer Knives, Wood Wool Knives, Cutter Knives Of Various VarietiesWood planer knives in HSS & tungsten carbide tipped construction. The Carbide Reversible Planer Knife delivers clean planing results on all wooden materials. Its sharp blades are double-edge ground, enabling the reversible use of either side. It is intended for a wide variety of planing applications such as fitting, sizing and chamfering as well as rebating in hardwood, softwood and wood composite materials. Being a prominent firm, we are affianced in providing our clients with a distinct assortment of Planer Knives. 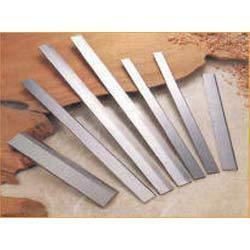 Being a prominent firm, we are affianced in providing our clients with a distinct assortment of Planer Knife. Rigid in design, this knife is installed in lathe machines for cutting purposes. Professionals serving our vendors manufacture this planer knife with the help of the finest quality raw material and advance technology.